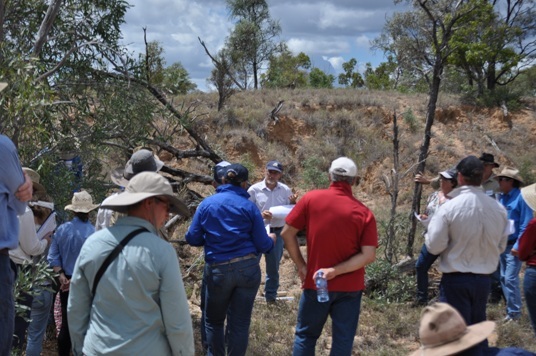 Burdekin Major Integrated Project "Landholders driving change"
Verterra is consortium partner with North Queensland Dry Tropics who are leading the Burdekin Major Integrated Project “Landholders Driving Change”. This project is inviting the active engagement of graziers and landowners in the Bowen, Bogie and Broken River Catchments to contribute to design land condition, pasture cover and productivity solutions to stem erosion and subsequent sediment run-off into local waterways. Phase 1 (Design) included collaborative workshops were completed which fed into development of specific projects, which are now entering implementatin phase..
Verterra is currently involved with delivery of a gully rehabilitation project at Mt. Wickham. Since 2017, Verterra has had in-house UAV capability for delivery of environmental services. Our Matrice 600 Drone is equipped with high-resolution colour and multi-spectral cameras enabling Drone-based photogrammetric Landform Digital Terrain Mapping which can quantify changes in landform over time due to erosion. Drone-based photogrammetric mapping services are being provided for this project. Land management practices, particularly from bananas, sugar cane and extensive grazing, as well as man-made impacts on the environment including sodic erosion gullies, mining and infrastructure, can lead to elevated export of sediment, nutrients and pesticides from coastal waterways. These pollutants can lead to stress of the Great Barrier Reef ecosystem, particularly inshore reefs, seagrass beds and Crown of Thorn starfish outbreaks. Verterra participated in Phase 1 (Design Workshops) for the project and is currently involved in implementation of a gully rehabilitation project at Mt. Wickham. We are a leader in ecological engineering theory and practice. “Ecological Engineering: The design, construction and management of sustainable ecosystems that integrate human society with its natural environment for the benefit of both.” (Mitsch and Jorgensen, 2003). Our combination of highly skilled and nationally certified environmental scientists and experienced land, crop and plantation management practitioners enable us to deliver sustainable and cost effective land, water and vegetation management solutions, turning risk into value for organisations seeking positive economic outcomes. Verterra offers the project our strengths in agricultural extension; beneficial use of biosolids management for agriculture; soil science, soil capability and landscape risk analysis and carbon management.